How to Survive Frankenmuth Snowfest! 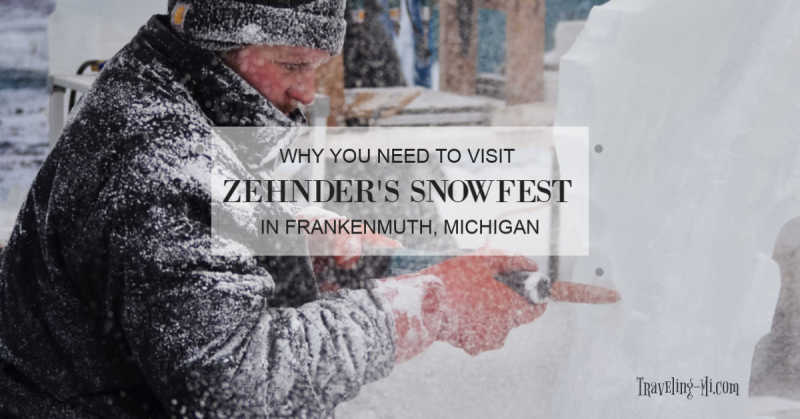 Zehnder's throws one heck of a Frankenmuth Snowfest festival every year. Yeah it's cold, but that's the point of a Snowfest!! It's a great excuse to eat some famous Frankenmuth fried chicken, get your shopping on and of course, watch amazingly talented artists carve massive slabs of ice into submission! Arrive early. See my notes in the next section about that. If you want to indulge in a famous chicken dinner, I would make reservations immediately upon arriving. Take note of the tiny clay sculptures on display in front of the ice sculptures. It shows you the intent of what the finished ice sculpture will look like. Weekday visits are much less busy so it's easier to park and navigate. Bathrooms are located in the Bavarian Inn and Zehnder's restaurants. If the weather is exceedingly cold, check out the warming tent located in Zehnder's parking lot. They also have maps of the festival. 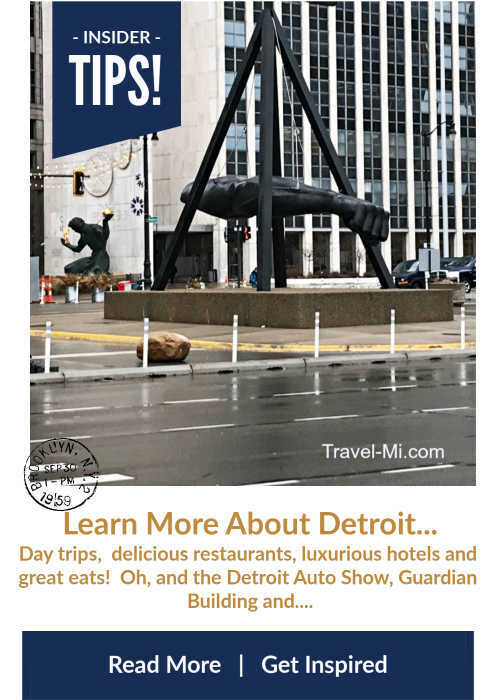 If you are limited on time, the majority of the sculptures are located within Zehnder's and Bavarian Inn's parking lots. If you appreciate good beer, then you won’t want to miss Zehnder’s Snowfest Tap Takeover in Zehnder’s Tap Room. For a festival map and a complete schedule of events, visit Zehnder's Snowfest Schedule. If you are looking to enjoy the festival without mass crowds, I would recommend going during the week and arrive before noon. The only thing to know is that the sculptures will not be finished yet. But that's also my favorite time to go! 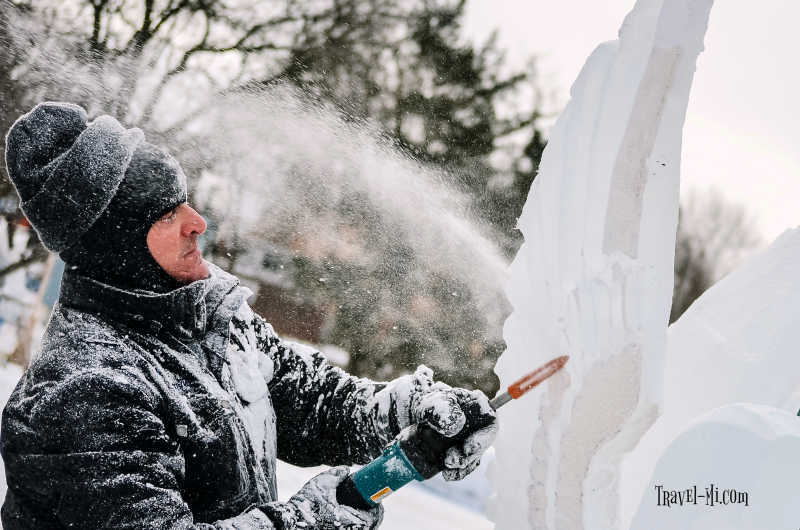 I relish in watching the talented snow artists perfect their sculptures. It's like magic as they transform the massive blocks of ice or snow into realistic rabbits, spiders, dragons or anything the artist can fathom! I like going about two days after the festival starts because the artists are well into their sculptures but it's not the last day so they have time to talk and interact with you. In other words, they are not panicked as the time frame creeps near. 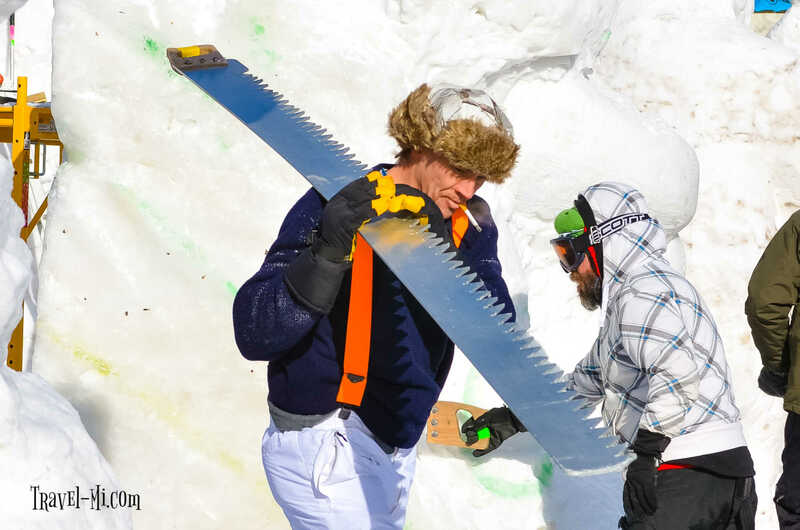 Watch an Artist Wield a Massive Saw to transform a Giant Ice Sculpture! Like I mentioned above, I would arrive well before noon if you want to park near the sculptures. The best place to park, in my opinion, is right behind Zehnder's Restaurant. They have a monster paved lot, but it will be packed after noon. Parking is also available in the Bavarian Inn lot and River Place Shops. Share This Post With Friends Planning to Attend the Festival! 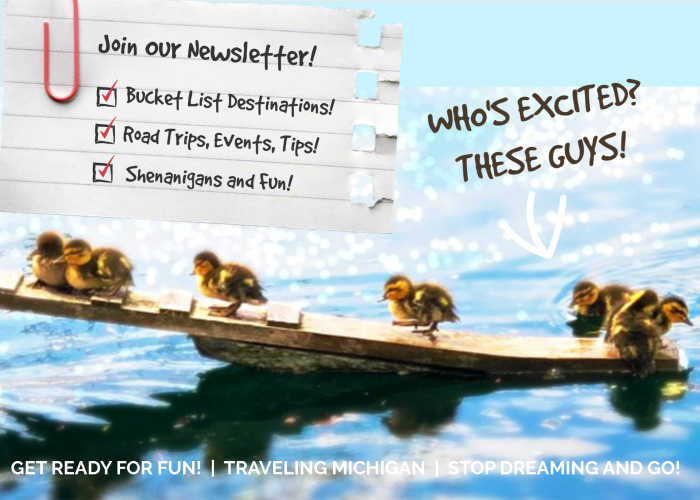 Have A Great Tip to Share About Frankenmuth? 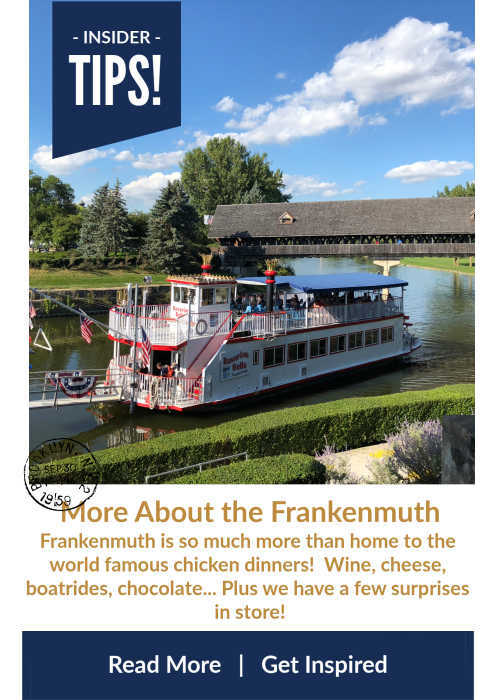 Do you have a great tip about visiting Frankenmuth? Share it!